The desert can be tomb and cradle, wasteland and garden, death and resurrection, hell and heaven. 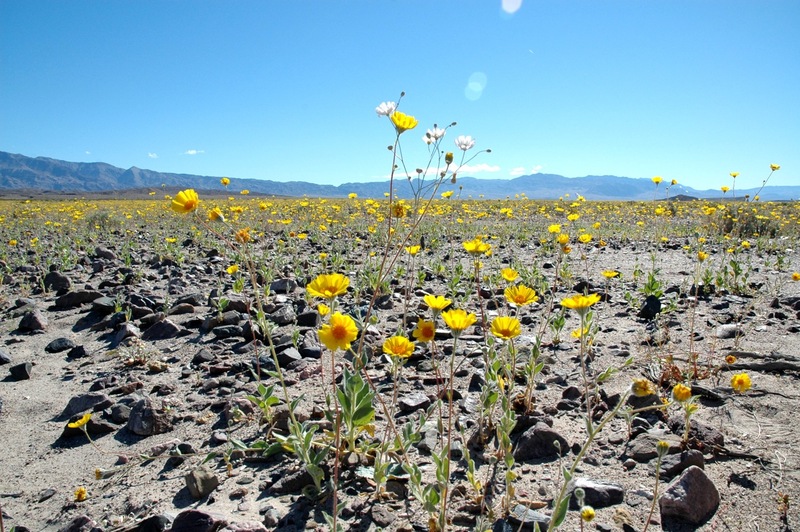 Thus in the desert you will find that God is simultaneously present and absent, proximate and remote, visible and invisible, manifest and hidden. He can receive you with great tenderness and then abandon you on the cross of loneliness. He consoles you and torments you at the same time. He heals you only to wound you again. He may speak to you today and ignore you tomorrow. In American Nomads, my recent reviiew of Jessica Bruder’s Nomadland, I applied the term “ascetics” to the motorized wanderers who have left behind the oppressive futility of a dysfunctional society to seek a freedom and authenticity seemingly unattainable within the rigged game of economic inequality. Although most of those contemporary nomads might take issue with the religious connotations of the word, I believe that any intentional exodus “away from here” is inevitably a quest for the redemptive space of a Promised Land. Its refusals and renunciations are the necessary first steps toward new being. In popular usage, asceticism conjures images of bodily self-mortification, like sleeping on a bed of nails, for the sake of a purely spiritual goal. Such a limiting caricature reflects an unfortunate dualism of body and soul. But the term comes from the Greek word for athletic training, and is best understood as a wholistic practice in which everything which comprises the human person—body and soul, heart and mind, inner psyche and outer world—is fully engaged in a committed discipline of patterned living. Asceticism is not solely a matter of giving old things up; it also involves taking on things that are new. Lenten discipline, for example, involves the addition of deeper spiritual practices and loving actions, and not merely the common subtractions of culinary pleasures and worldly amusements. More prayer and more justice, not just less chocolate. The desert is the emptiness where there’s no place to hide. In the desert, you come face to face with yourself, your demons, and your God. Nothing is defined there, nothing known in advance. Your scripts are no good in the desert. Your evasions are futile. Whatever makes you want to turn around and run back to the safety of your old illusions is the very thing that is trying to kill you. Chewing sand for forty years—not the best sales pitch for the pilgrimage to God. But all the easy roads just lead back to Egypt. Endure the trials, bless the oases. Persist. Never turn back. Do not doubt the feast. [i] Alessandro Pronzato, Meditations on the Sand (1982), q. in John Moses, The Desert: An Anthology for Lent (Norwich, UK: The Canterbury Press, 1997, 30-31. [ii] Belden C. Lane, The Solace of Fierce Landscapes: Exploring Desert and Mountain Spirituality (New York: Oxford University Press, 1998), 166. [iii] Bill Viola, Reasons for Knocking at an Empty House: Writings 1973-1994 (London: Thames & Hudson, 1995) 54. I took the photograph in California’s Alabama Hills, where I have run among wildflowers and slept beneath the stars. The mountain peak on the right is Mt. Whitney, the highest point in the lower 48 states. I climbed it in 1998. 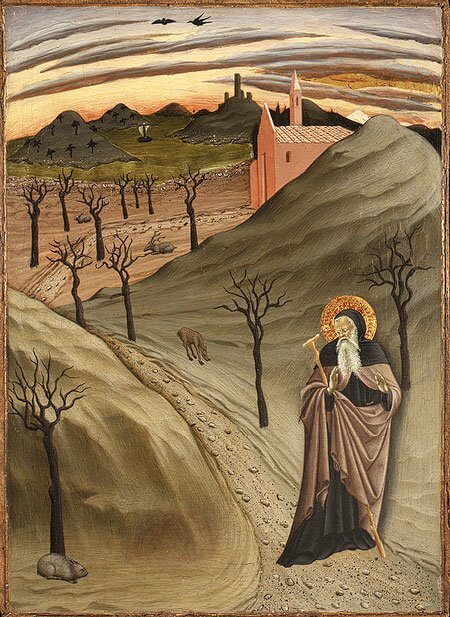 “The trouble with going to the desert is that you risk meeting God there.” These words of a French monk, which I heard decades ago in a documentary on the Little Brothers of Jesus, have haunted me ever since. Anyone who has spent serious time in the desert knows that the monk was right. Flee the culture’s house of mirrors for the counter-world of rocks and sand, silence and emptiness, and like Elijah you too may hear the “voice of thin silence.” You may meet the necessary Other. I wrote these words in an introduction to my Lenten worship installation Via Negativa, an experiential journey through a symbolic desert. A worship installation is more like an art gallery than the theater model of traditional Western liturgy. Instead of finding a seat and remaining there (except for the Peace and Communion), you move around, follow your own path, pay attention at your own pace, linger where something in particular calls to you. An installation also resembles the labyrinth in being a mixture of both solitude and community. You do it in your own way, yet always aware that you make the journey in the company of fellow pilgrims. In this installation, you are invited to make your own exodus out of the ordinary into a desert made of signs, symbols and experiences. There is no path. You wander as you will, or as the Spirit wills, though the Burning Bush is best deferred until you have spent some time here. There are also images, sounds, places to linger, practices to enact. It is better not to hurry. There is no time in the desert, only space. Wander. Explore. Abide. Pay attention. Take off your shoes. You stand on holy ground. The installation occupies three rooms. In the first room, there are images and texts representing the “Egypt” which need to be left behind – the personal and cultural distractions, distortions, oppressions and addictions which mar or obscure the goodness of creation and the Imago Dei within us all. A monitor shows a video loop of the Exodus story from The Electronic Campfire, a video I produced of creatively told biblical stories from the Easter Vigil. The second room contains a small tent where you can listen to a recording of sayings and stories of the early Christian Desert Fathers and Mothers, playing softly from a small portable speaker. There are printed collections of these texts available as well. Sitting on a Persian carpet inside the tent, you may linger to hear and read the wisdom of those ancient spiritual explorers. A sign outside the entrance displays a key text from that tradition: Go sit in your cell, and your cell will teach you everything. 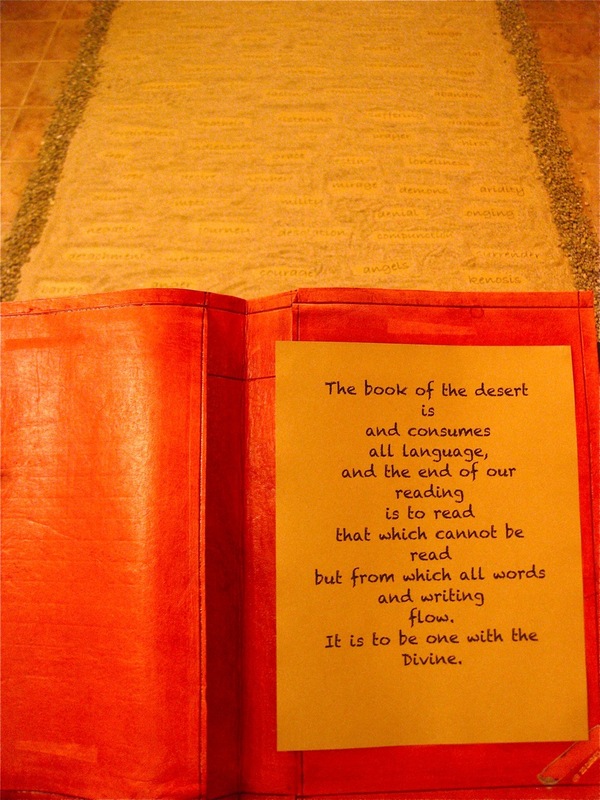 Dozens of magazine photographs and postcard images of the desert, each accompanied by a text related to desert spirituality. These numerous pairings of image and text are designed to provoke endless reflection. Various books and guides on desert natural history, geology and spirituality. A montage of desert film footage (time lapse of cloud shadows moving across dry landscapes, dreamlike images of humans and animals on sand dunes, the Temptation scene from Pasolini’s Gospel According to St. Matthew, and a desert father atop his 40-foot pillar in Luis Buñuel’sSimon of the Desert). 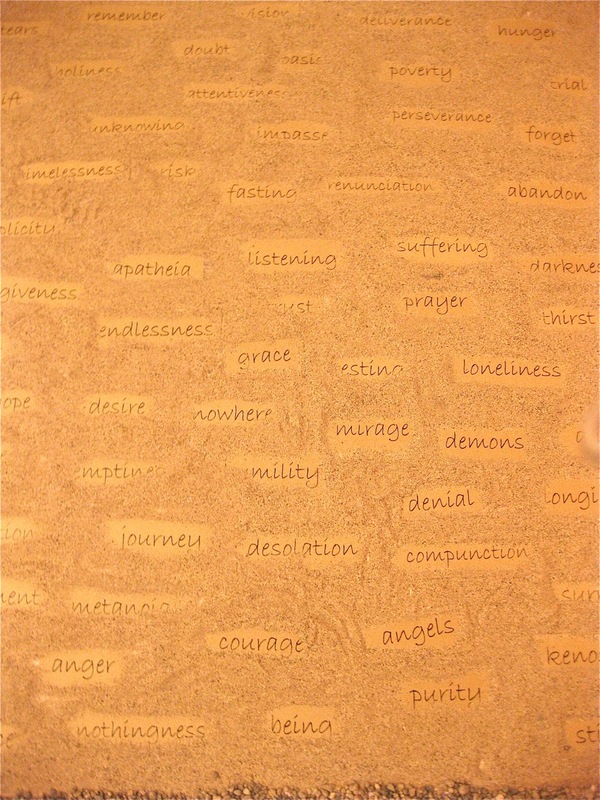 A large rectangle of sand containing over 70 words naming dimensions of the desert quest (deprivation, emptiness, hunger, listening, negation, repentance, solitude, tears, trial, unknowing, waiting, etc.) Each word seems on the verge of erasure by the enveloping sand. A woven basket with “manna” (fry bread), water trickling from a pile of rocks with cups for drinking, and a pillar of fire (Paschal Candle), each with accompanying biblical texts. The fragrance of sage incense and the recorded sounds of desert birds and insects. Nearby, a ladder holds referents to Mt. Sinai on every rung: a book of Sinai photographs, incense grains from St. Catherine’s monastery at the foot of Sinai, a collection of sayings by St. Nilus of Sinai, a reproduction of the Sinai monastery’s famous icon, “The Ladder of Divine Ascent,” and – at the top of the ladder – the Ten Commandments in Hebrew and English. Finally, the Burning Bush, reached by following a winding path of stones past a “veil” with the single word, Absence, on the front. When you reach the other side of the veil, the single word is Presence. 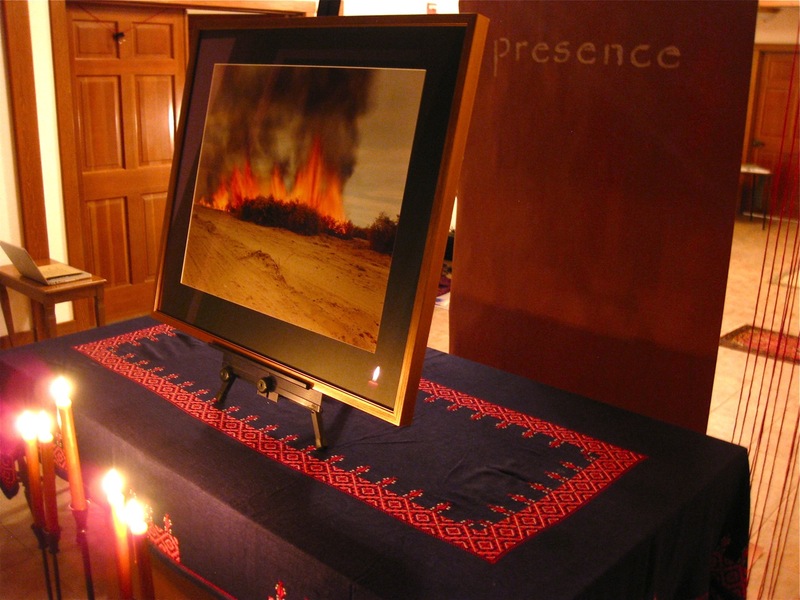 set above an altar with a large photograph of a burning bush (Richard Misrach’s “Desert Fire #81”), illumined by many candles. Of course, there is no substitute for doing the real desert in real time. 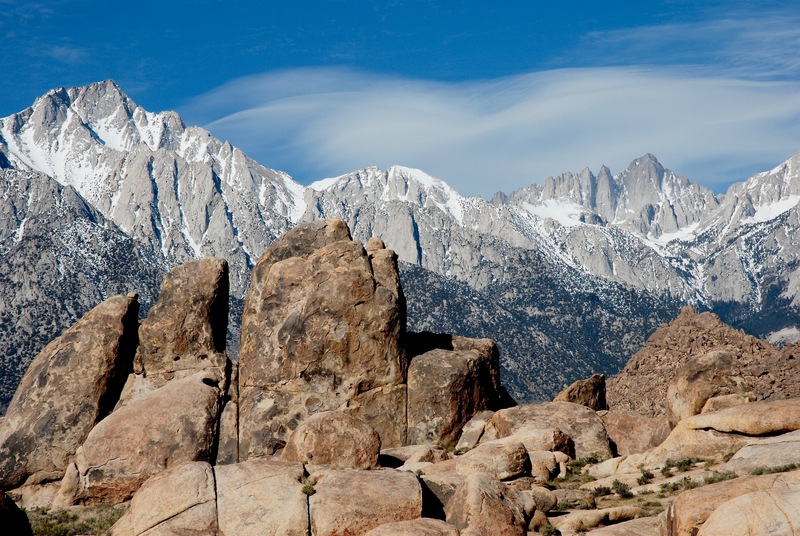 I have never forgotten a solitary Lenten retreat years ago in California’s eastern Mojave – sleeping on sand dunes beneath the moon, listening to silence, trying (unsuccessfully) to pray the entire Psalter in one sitting in the cool of a remote cave. But you can’t become a desert father in a few days. My mind wandered. I failed to find the burning bush. 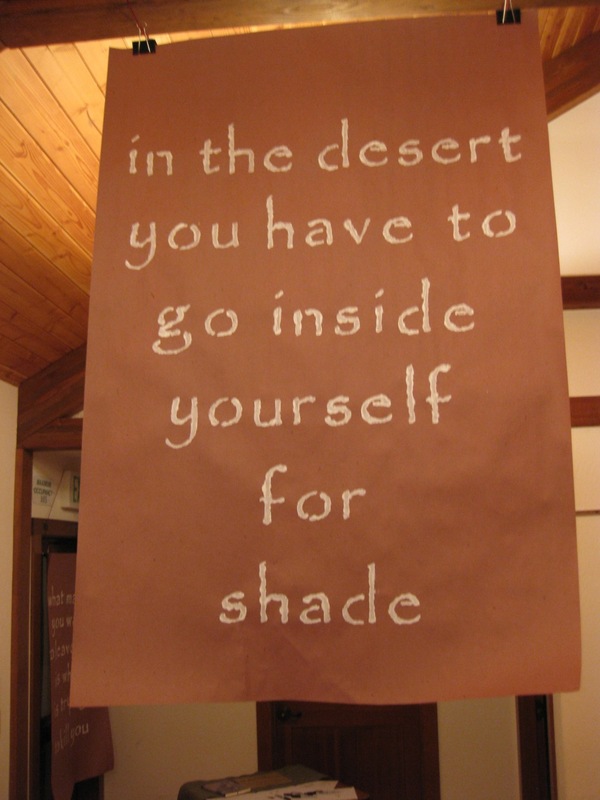 And yet my brief immersion in desert’s “no-where” lodged itself deep within me. The Via Negativa installation is an attempt to give it symbolic form. Like any liturgy, it compresses a universe of meaning into the space of an hour or two, providing mere glimpses and fragments. But perhaps – like any liturgy – it can plant a few seeds for God to cultivate in the fullness of time. [vii] The first two songs are on Franke’s powerful Desert Questions album. “Holy Ground” is on In This Night. Today’s Old Testament reading takes us to the end of the great Flood in Genesis. Many people have trouble with this story, because they read it as a tale of crime and punishment, with an angry father god who will get us if we don’t behave. But the rest of Scripture won’t let us read it that way. The rest of Scripture, including the ending of the Flood story itself – the rainbow and the promise – shows us the face of God as the face of love. God doesn’t want to kill us. God wants to make a covenant with us. God wants to marry us. So what is the Flood story really about? It actually generates a multitude of meanings, but one of the central ones has to do with violence. Genesis says that God looked upon the earth and saw that it was filled with violence. Sound familiar? Violence is what happens when we put ourselves in the center instead of God, and try to make the world over in our own image. We are unable to honor or even see the existence of other beings as independent of our own desire. We lose all curiosity for anything outside ourselves. Violence is intolerance of difference: other selves, other perspectives, other cultures are treated as obstacles to our desire, and must be made either to serve us or be swept away. This intolerance of difference, of otherness, may be seen in the rhetoric of terrorists, as well as its mirror image in the anti-Muslim ranting of certain American politicians. It is may also be seen in the recent outbreaks of overt racism in this country. Fear and hatred of those not like us has become far too common. Such boundless self-assertion, says the Bible, is the foundational violence that threatens to swallow the whole earth. The Flood is not a punishment imposed from the outside; it is what we have made of ourselves. When we are hostile to those who are not like us, who are not useful in the boundless expansion of our swelling desire, we destroy the balances and boundaries of which the world is made. You can see this violence in relationships, on the freeway, in the crucifixion of Nature, in the current phenomenon of endless war. If we let creation’s harmonious balance be smashed by human violence, we will all be washed away, the innocent and guilty alike. Not even the billionaire profiteers will be able to hide on that day. A world drowning in its own violence. Is this an ancient myth, or the daily news? But the Flood story has a surprise ending. Instead of destruction, new possibility. Instead of anger, love. Instead of violence, reverence for all beings with whom we share the planet. God tears up all the sad old tragedy scripts and gives us a comedy instead. God invites us to join in the re-imagination of the world. God writes a new story in our hearts. This is why the Epistle of Peter links the waters of the Flood to the waters of baptism. Both are the ending of an old story and the birthing of a new one. When our old selves drown in the depths of the font, we are reborn in Christ. No longer I, but Christ in me, as Paul says. But before Christ could become our future, he first had to become himself. We are all tempted to live some other life than our own, to wear other people’s faces instead of becoming what God made us to be. Jesus was no exception. He could have lived some other life. Tradition says that he was tempted to dominate others and to escape the Way of the Cross. But if Jesus had not lived with the poor and the outcast, if he had spent his time making rich and powerful friends, would he have been Jesus? If he had led a violent uprising to overthrow Roman tyranny, if he had devoted his life to reforming the religious establishment, would he have been Jesus? If he had turned stones into bread, or not risen from the dead, would he have been Jesus? Ask me whether what I have done is my life. Well, what Jesus did was his life. So, we may wonder, how do we do our own lives? To answer that question, we must go, with Jesus, to the desert. Only in the desert is the silence deep enough for you to hear the whisper of your innermost heart. And what is your heart trying to tell you? Listen. Listen to your heart. We’re always making up stories about ourselves. Sometimes we’re heroes, sometimes we’re victims. But all of these stories are fictions that make us deaf and blind to what our life is actually trying to tell us. What are the stories that you need to let go of in order to let your life speak? If you are going to give up anything this Lent, give up those tired old stories about yourself. They are no longer true. When we are baptized, we die to our old fictions; we let go of the old stories by which we try to direct our lives. That’s why the Flood story is one of the great images for baptism. There are all those people of Noah’s time clinging to their own fictions, sinking down under the weight of their false identities just as we ourselves sink under the weight of our own fictions. And when in baptism we are freed from the burden of our false selves, we rise, newly buoyant, to the surface; we are pulled out of the water and given a new story, a new name, which is our true self, our true life, which has been wanting to speak to us all these years. That is the work we have come to do, as we begin our long Lenten journey, as we step out into that desert where every fiction will be stripped away. At first it will feel like loss, like too much giving up. We may even want to turn around and quit, like the Israelites who complained in the midst of their own desert journey: Let’s go back! It wasn’t so bad, being slaves in Egypt! But with God’s help, we will keep going, deeper and deeper into that desert, determined to save the only life we can save,[iii] and there will come a day, some 40 days hence, when we will reach the other side. And there we will hear a voice, a voice that calls us each by name. Come to the waters, the voice will say. Come to the life-giving pool of the baptismal font. Come to the Easter waters, and dive in. a name which is: Not I but Christ in me. is what our life has been trying to tell us all these years. The desert is wide, the journey long, but keep on keeping on, because it will lead you, step by step, into the heart of the Beloved who has loved you all your life, who knows you by heart. And when we finally draw near the end of our Lenten journey, everything that the desert is about, everything the Christian faith is about, everything our very lives are about, will be intensified and distilled in the incomparable passage from death to life which we call the Paschal Mystery: the life-giving mystery experienced both ritually and personally in the Great Three Days of Holy Week: Maundy Thursday, Good Friday, and the Easter Vigil. Right now, in these first lean and hungry days of the Lenten desert, the transformative joy of the Easter feast may seem unimaginable. But beyond the hunger and thirst, beyond the trials and temptations, the doubts and the stumbles, beyond even the faded Hosannas and the terrible shouts of “Crucify! Crucify!,” there will rise the jubilant Alleluias of the Easter Vigil, breaking at last the stony silence of defeat and death. The great journey begins here. Now. Not I, but Christ in me.